Minneapolis House Painters offers top rate exterior painting in Minneapolis, Saint Paul, and Twin Cities Area. The choice of exterior paint is vital because an unsuitable paint applied outdoors cannot withstand the harsh weather in Minneapolis! Exterior house painting is a complex task that requires skills and proper tools to be done successfully. The surface to be painted needs to be prepared right, to ensure the adhesion of the paint. Quality paint must be used that is resistant to weather and external elements. Propper painting methods must be used to ensure a lasting result that looks good. The top coat of paint must be impermeable and resistant. Without good prep work, the exterior house painting job will be a failure because it will not last and look unsightly. Whether painting wooden shutters, exterior wall plaster or to cover the metal garage door, there is a multitude of different paints for each use. The acrylic paint has the advantage of being applied to almost all surfaces, except for metal. This water-based paint is easily washable, a great advantage for surfaces exposed to rain and pollution. 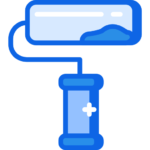 Microporous, it also allows the moisture to evacuate itself. Finally, by opting for this kind of coating, it avoids long-term unsightly cracking. Glycerophthalic paint does not flake, resists water and the effects of sunlight. It also protects surfaces well against the proliferation of foam, and limits the absorption of surface moisture. These are just some of the options to consider for choosing the right exterior paint. 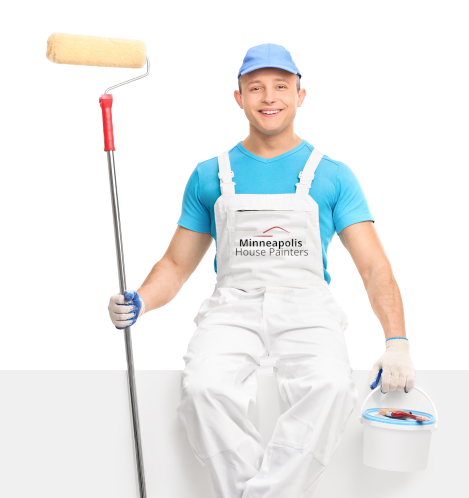 Minneapolis House Painters will help you in the whole exterior painting process, Call Minneapolis House Painters at (612) 557-8210 for a No-Hassle Free Estimate. Our top-rated exterior painting contractors in Minneapolis provide all types of exterior painting services. Give your home revitalization with a fresh coat of paint. Minneapolis House Painters are experts in exterior painting, maintaining a high level of quality. No matter the type of coating to be painted: acrylic coating, PVC, masonry, metal, galvanized steel, aluminum, concrete, vinyl, plaster, stucco, brick, wood, masonry, we can take care of the job perfectly! Our exterior painting contractors use high-quality products that are suitable both for the surface and for Minneapolis climate. We consult the experts of the various exterior paint manufacturers to guarantee you the best product available on the market. A cheaper product is not necessarily a good deal. When it comes to exterior painting, you have to think about investment. A good exterior painter understands the real needs of customers, explains the products and makes useful recommendations. A true specialist respects his trade and takes pride in providing quality work.